More and more people are using tablets in classrooms, art studios and office settings. Apps and reading programs call for highlighting, underlining or drawing with a precision more accurate than a finger swipe can afford. 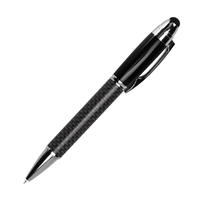 iLuv ICS810BLK ePen ProStylus with pen For Smartphones & Tablets. More and more people are using tablets in classrooms, art studios and office settings. Apps and reading programs call for highlighting, underlining or drawing with a precision more accurate than a finger swipe can afford. The ePen Pro, which has a built-in ink pen, delivers the precision that you need, without imparting unsightly fingerprints on your screen.